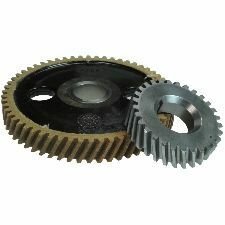 Showing 1 - 7 of 7 Products for Engine Timing Gear Set. 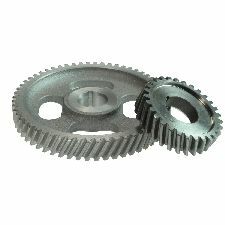 Aluminum Cam Gear, Steel Crank Gear. 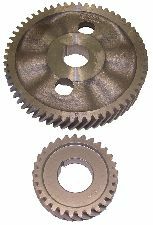 Feature "Helical" Tooth Form For Quiet Operation, And Precision Machined Bore For True Fit." Consumer Warranty 1: Sealed Power® Parts Are Warranted To Be Free From Defects In Material And Workmanship Under Normal Use And Service For 12 Months From Date Of Purchase. Remedy For Breach Of Warranty Is Limited To Free Exchange Of Product. Consumer Warranty 2: Liability For Neglect, Misuse, Special, Incidental, Direct, Indirect, And Consequential Damages Is Specifically Disclaimed. No Other Warranty, Either Expressed Or Implied, Including Merchantability Or Fitness For A Particular Purpose, Is Made. Sealed Power® parts provide innovative designs, use leading-edge materials and utilize ISO & QS certified manufacturing in order to deliver top quality products that meet the rigorous demands of today's modern engines.